Data science consultants are one of the most sought-after professionals today and are in demand across a wide range of industries. Nearly every business out there has some kind of data collection and processing system, and many have more advanced platforms like AI or machine learning, customer personalization, and beyond. While some companies can afford to hire entire teams of data scientists, smaller organizations and businesses often cannot afford them, and so turn to freelance data scientists or data science consultants for help. According to Indeed, since December 2013, data science postings have rocketed 256%—more than tripling. Managing data in today’s landscape can be so complex, that it’s necessary to get a consultant. That’s exactly where data science consulting comes into play, a huge opportunity for freelancers. What Is Data Science Consulting? To put it simply, data science consulting is the act or process of educating clients on varying aspects of data and modern technology. 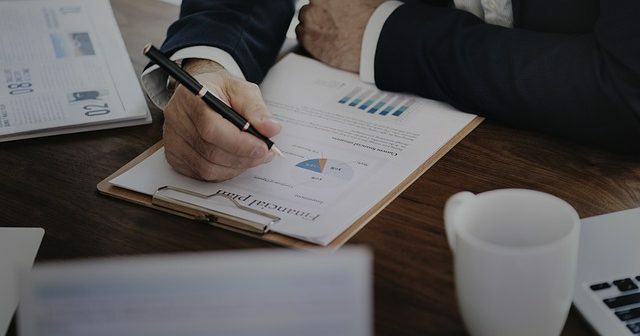 More specifically, consultants will build up a customer’s analytics skills, data competencies, and better structure the machinations and workings of their business. As a consultant, you are using your own experience and knowledge to help clients get their ducks in a row. It may or may not involve relationships with individuals, small businesses or major organizations. Getting involved with a client means walking them through each of these milestones in the consulting journey, to ensure they understand what’s necessary to maintain and operate a data-based system. What Do You Need to Become a Data Consultant? You need both technical knowledge and business sense to get into the highly competitive field of data science consulting. The first thing you need is a strong technical background. Most data scientists have an earned degree in an information technology subject, such as operations research, applied statistics, data science, or even general computer science. Some data scientists earn a Bachelor’s degree in social science, mathematics or physical sciences, and then specialize in a dealing with data in that field. A biotechnologist, for example, may specialize in analyzing data obtained from DNA sequencing. Most data scientists have a Master’s or a PhD in a specialized area, some branching out into machine learning or AI. There are a plethora of online courses available that help you understand how to use various data science tools like Hadoop or Apache Spark. Data scientists also are familiar with one or more of the following programming languages: R, Python, Java, SQL, MATLAB, and more. In general, however, R is preferred. Data visualization tools are also essential to presenting your data to the client and extracting meaningful information from it. The second thing you need is a solid understanding of business fundamentals. Even though data science consulting involves direct knowledge and experience with data and its handling, it is essentially a business first. So, a foundation in business is a good place to start which. Consulting is an incredibly competitive market, with an endless stream of players. It also requires a unique business model to be successful, one you must be comfortable with. If you are not able to access a business course, there are online courses that introduce you to the basics of setting up your own business and the nitty-gritties of how to handle accounting, taxes, etc. Because of the nature of consultant work, many opportunities require you to have prior experience working in the industry, sometimes as much as six or more years. The longtail experience is necessary because you are essentially acting as a data expert, and you will be responsible for shaping the future and operations of a business. It is absolutely essential that you have an online website and portfolio where you can present your work and make it easy for potential clients to discover you. From WordPress to Wix, there are plenty of options available for you to create a website (if only one page) that lists the services you offer, clients you have worked for, and projects you want to showcase. If you’ve not yet built a strong portfolio, you can work on public datasets for practice. On top of everything listed above, there are some fairly new developments in the field of data science and technology that you will need to be familiar with. Large-scale regulations such as GDPR, for example, affect the way companies have to handle customer data. As society moves towards more consumer-friendly policies regarding data privacy and security, many organizations will need to restructure their collection platforms and handling protocols. It’s another aspect of data science that you will need to be up-to-date with. Compliance is very much a costly endeavor both for following and failing to follow guidelines. Modern data consultants must be able to explain, quantify and help businesses transition to effective, compliant operations. As an individual or small team, it’s always possible to start your own business. You could expressly handle data science consulting as a firm, and you can either generalize or specialize based on what you’re good at and want to focus on. Having prior experience in a data science consulting firm can help you make the transition to an independent consultant easily. The first option is to work for an MBB, which stands for McKinsey, BCG, and Bain — also known as the “big three.” They are the three most prestigious consulting agencies in the world. We’re talking world-class data scientists who work with some of the biggest brands on the planet. The next option is to work with a big data provider or company, some of the more common examples being Cloudera, Palantir Technologies, VMware and, of course, Google, Amazon, and Microsoft. Finally, you may also choose to work with a historical tech company — brands that have been around for a long time, not just major players — including IBM, Accenture Analytics, Oracle, and more. Who you work for and what you’re doing is going to differ from position to position. But almost all opportunities will have you working closely with digital content and data, in its many forms. The exception to this rule is if you’re working with a major player in the industry who likely already has a long list of clients and contracts available. But for smaller firms and individuals, the most challenging aspect of any consulting business is finding clients. This is because the field is highly competitive and most customers will only work with a firm that has a strong reputation, tangible history and a long list of successes. If you’re looking to build a data science consultancy, the trick is to hire experienced professionals, maybe even some who join with their own clients in tow. Failing that, you’ll need to strengthen and develop a positive reputation in the industry. To do this with no clients on tap, you’ll need to attend live events and conferences, compete for contracts, participate in competitions and both advertise and promote your services heavily. Online freelancing platforms make it easier for data science consultants and freelance data scientists to work on a variety of projects from clients all over the world. 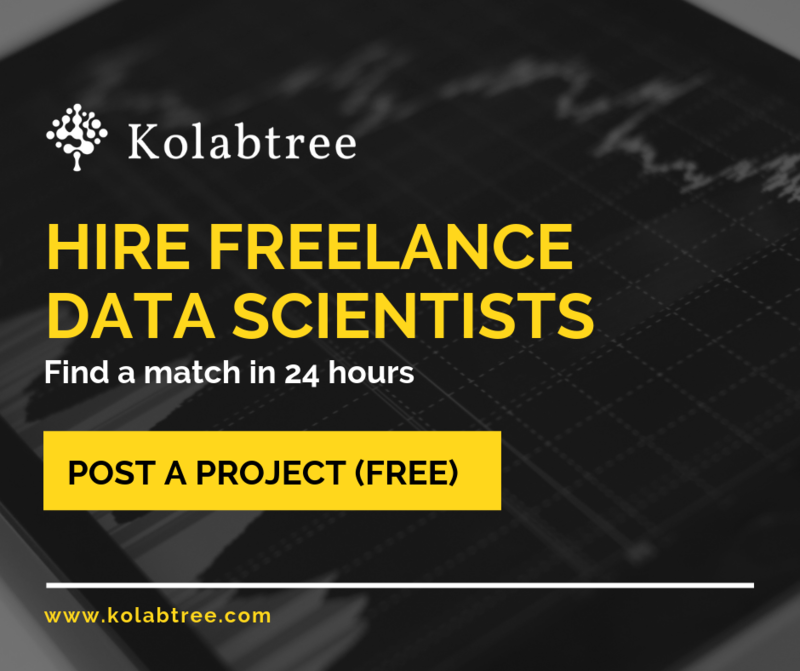 Kolabtree, a platform with 7,500+ experts from the likes of MIT and Harvard University, allows freelancers to browse and apply for interesting projects in their area of expertise. Clients can also ‘rate’ you online and provide feedback on your work, which will help you build a strong portfolio and present yourself as a reliable professional. It is essential also to network within the industry — attend conferences and meetups, informal events, and community gatherings. You could participate in online competitions and network through LinkedIn, which is home to a large number of data science groups. Once your establish yourself, you’ll find that clients will start to flock to you. But it definitely takes a long time to get there and it’s a long, hard road. Don’t expect to be successful overnight. Keep at it, work hard, and you will soon be a sought-after data science consultant. Looking to become a freelance data scientist? Sign up on Kolabtree and offer your services to those who need them.